Lets see some 70's & 80's Pro Stockers...so who were some of your favorites from that era. And hopefully, where they might be today. 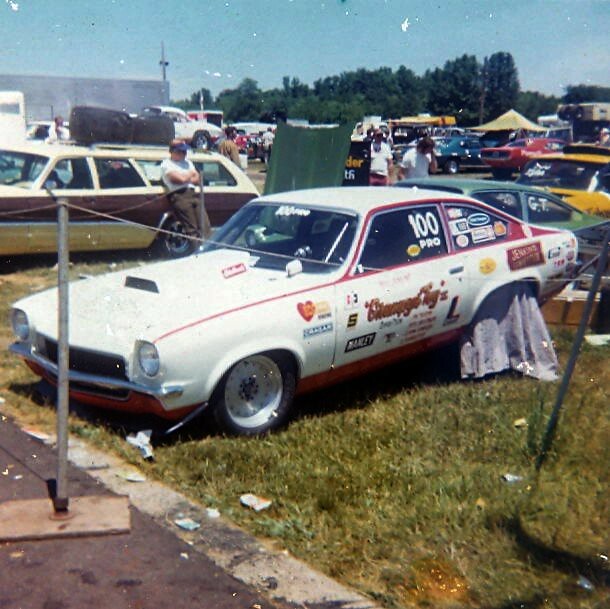 Some shots from Maple Grove in the early '70's WCS meets and Wed nite shows. A little grainy as I converted them from slides I had forgotten about. Super Pro at Bremerton Raceway with a SBC/auto combo. It was on the cover of SS&DI back in '76, I believe. I'll see if I can post a current picture,, I'm sure Moose or Bob Rice can find a vintage photo of it,,, the one I took is too small, since I was too far away at that moment. And how about a 4 door Maverick? I was told that it was destroyed but Jack Roush was building a clone/tribute car awhile back. The new car may have a few parts on it from the original from what I heard.